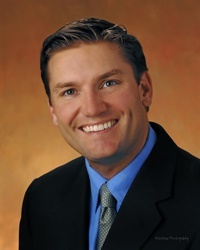 Joel Dekanich, DC, RN, MS, DACBSP, CSCS graduated from Palmer College of Chiropractic (Davenport, IA) in 1994 and is credited for forming one of Colorado’s first multidiscipline practices in Vail, CO in 1995. A Diplomate with the American Chiropractic Board of Sports Physicians, Dr. Dekanich lectures frequently around the country for the CCSP ® and various collegiate post graduate programs and is considered a specialist in sports chiropractic and extremity adjusting. He has worked most recently with Team USA Track & Field at the 2016 Paralympic Games in Rio de Janerio, Brazil and the parapan American Games, the PGA Tour and US Open, players from the NFL and the Vail International Dance Festival. Dr. Dekanich brings an extensive educational background including a Master’s degree in exercise science and rehabilitation from Logan University, a nursing degree, a certified strength & conditioning specialist along with numerous post graduate certifications in sports chiropractic/medicine. He has also co-authored a research study published in the acclaimed Journal of Orthopedics Sports Therapeutics (JOSPT).